We are a civilization that is largely driven by digital technology, and digital marketing has a substantial influence on people’s habits, interactions, and purchases. Learning about how to advance in a dynamic market is the key to maximize opportunities and gain competitive advantage. An effective, smart online marketing strategy curated by an experienced digital marketing firm can help businesses to connect with their targeted audience and improve their web traffic, which will translate into increased exposure and, thus revenues. There are numerous avenues when it comes to digital marketing. Today, we’ll discuss three primary segments of web traffic: organic, direct, and paid. Let’s begin! Organic traffic refers to all the online traffic that comes from search engines such as Google, Yahoo, Bing, etc. A website that publishes quality, unique content on a regular basis is able to generate organic traffic on their website. However, this strategy only works for gaining new visitors. Brands and businesses who want to improve their organic traffic employ search engine optimization (SEO) techniques and best practices. Organic SEO include building local citations and using relevant keywords, supplemented by high-quality content, among several other practices. As the name suggests, direct traffic primarily relates to online visitors who directly come to a website by manual URL entry into their address bar, opening a bookmark, or perhaps clicking on a link to your site from an Email, PDF, or any other non-web document, per se. If a visitor clicks on a link from a secured site to a non-secure site, it may also be reported as direct traffic by analytics. Also, there are instances where some of your organic traffic may be reported as direct traffic. Paid traffic is a source of online traffic that is generated through paid advertisements and promotions. Google Ads and Facebook are two of the most popular online marketing platforms that are used to generate paid traffic to websites, however, there are numerous other sources of paid traffic. Some of the common forms of paid traffic are Pay Per Click (PPC), Pay Per Acquisition (PPA) advertising, and Cost per Thousand (CPM) impressions. Other marketing tactics such as sponsored content and banner ads also fall under the umbrella of paid traffic. An important question is: which marketing strategy is the best among organic, direct, and paid traffic? Well, there is no one-word answer to this question. Each of these options come with some pros and cons, which may greatly vary. What’s more important is to understand how all of these methods work together. A competent digital marketing firm can help you to create a comprehensive and effective marketing strategy by employing more than one of these methods. 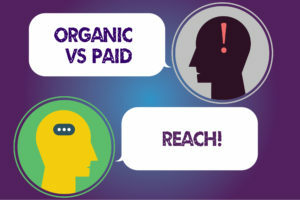 An important thing to understand is that organic and direct marketing is NOT completely free. They tend to correlate with the authority and online presence that you might have developed through posting rich quality and unique content and using SEO techniques, which require time, money, and effort. Statistics available on Demand critic show that marketers spend over 25% of their budget on content marketing. Therefore, it is critical to understand how to employ your resources effectively to each of these methods to maximize engagement and drive more traffic to your website. Hiring the services of a reputable digital marketing firm can greatly benefit you in your marketing endeavors. They have a comprehensive understanding of all sorts of metrics, from conversion rate to click-through rate to bounce rate, allowing them to design a marketing campaign personalized specifically to generate maximum traffic to your website. If you want to learn more about these marketing techniques or have any other queries regarding digital marketing, contact FORWARD Marketing at (773) 227-3269 to speak with a digital marketing specialist.